The motto of 19 O.T.U. was "Strike Hard Strike Sure". This time of year in Kinloss, County Morayshire in Scotland usually meant precipitation in one form or another as winter weather moved in. Immediately upon my arrival at 19 O.T.U. (Group 6), we wre given a course specially designed for Air Observors. There was no time to loose! My course designation was No. 30 Course for Squad A with a start date of October 17, 1941. 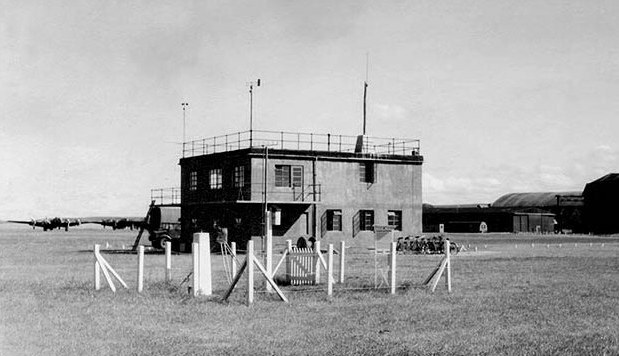 My flying at Kinloss started again on 9–December 1941. For the rest of December I would train again on an Anson aircraft. We had a number of navigation exercises where I was assigned the role of 1st and 2nd navigator. I accumulated a little more than 33 hours of day time flying and a little more than 22 hours of night time flying for the month of December. 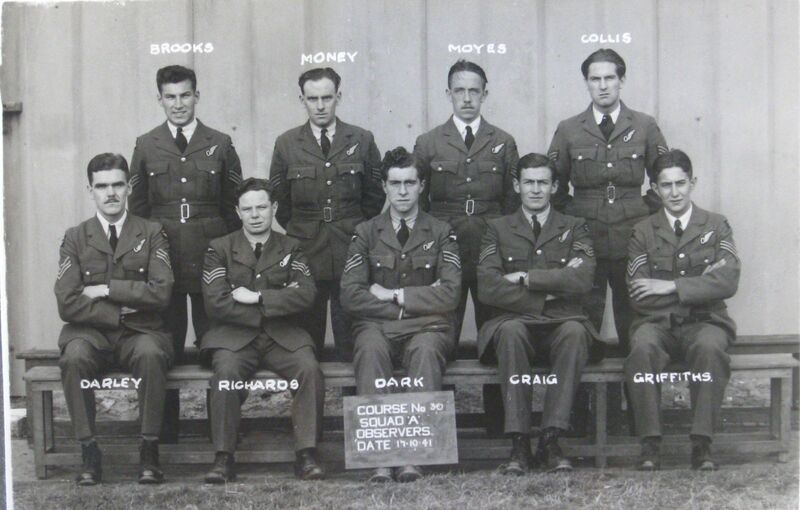 In January and up until 13–February-1942 the training continued, this time with a Whitley aircraft and I had the role of navigator/ bomb aimer. We did many circuits and landings, single engine flying, and lots of practice bombing runs. Everything we did was for crew precision and working together as a team. We spent more than 60 hours flying at OTU and learned about each other and had many good times as a crew. I found that high level bombing was an art that needed utmost cooperation between pilot and bombardier. Once the bomb was released it continued forward at the same speed and in the same path relative to the ground as that of the aircraft. As it fell to earth each type of bomb developed a different terminal velocity because of size, contour and density, thus altering the time of fall from a given altitude which the bombardier had to take into account in setting up his bombsight. To hit a 50 foot target from an aircraft travelling at least 200 feet per second took practice, more practice and still more practice. But no matter the degree of skill the bombardier achieved, his performance was contingent on the matching accuracy of the pilot. The pilot had to keep the air craft level, airspeed dead on predetermined figure and altimeter on exact footage described. Even then an over correction of the pilot could throw the bomb off its mark. We practiced this procedure over and over. In January and February I accumulated a little more than 35 hours of day time and a little more than 35 hours of night time flying.